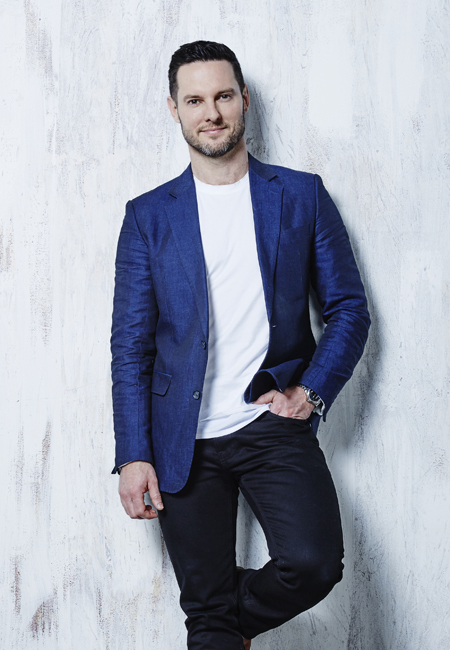 Darren Palmer is widely regarded as one of Australia’s most renowned and influential interior designers. Darren began his career designing beautiful and personalised homes for discerning clients. As a professional, Darren’s instincts and design aesthetic have influenced Australia’s design culture, while his youthful and energetic presence have propelled a public career spanning across publishing, licensing, television, brand ambassadorships, events, corporate engagements and leadership in design. His extensive expertise combined with his understated approach to design has made him a household name, known not only for his professionalism, integrity and industry expertise but also for being a trusted personality. Darren’s television career began in 2009. 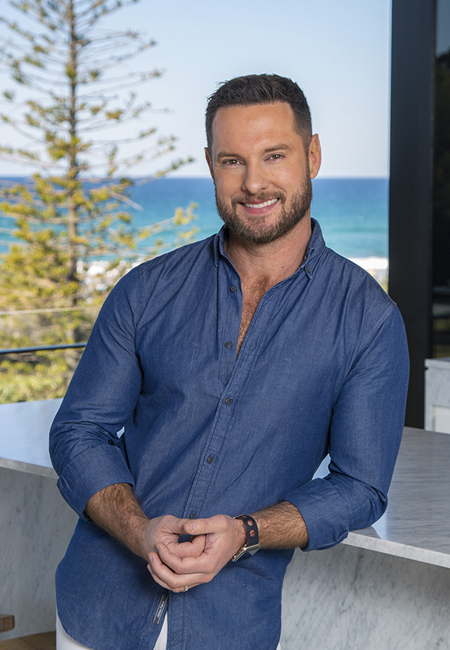 During this time, he has held several roles as a judge and presenter on popular home and lifestyle shows including Nine Network’s Reno Rumble and four time “Best Reality Program” Logie award winning show The Block. The Block is one of the most successful series on Channel Nine and is the No. 1 non-sports program. It is now in its 15th season and Darren will be returning once again in 2019. He has a strong passion for education and a unique ability to break down complex concepts into easily digestible materials. As an author and writer, Darren has regularly contributed articles to a selection of Australia’s premier home and lifestyle publications. These include GQ Australia, Luxury Home Design and Australian House and Garden. Darren’s interior design projects have been featured in the pages of Vogue Living, Inside Out, Belle, Design Decoration Annual, House & Garden and Real Living, and he was named one of Men’s Style magazine’s Men of Influence in both 2014 and 2015. Darren is also a regular columnist for Domain where 3.9 million readers see his articles every month. In August 2014, Murdoch Books published Darren’s first design book, In August 2014, Murdoch Books published Darren’s first design book, Easy Luxury: An expert guide to creating your perfect home . The purpose of book was to bring high-end design within reach for everyday homeowners and to make great design accessible for everyone and has gone onto to be reprinted. 2016 saw Darren release his highly-anticipated second book Homespace: Changing the space you have into the home you love. 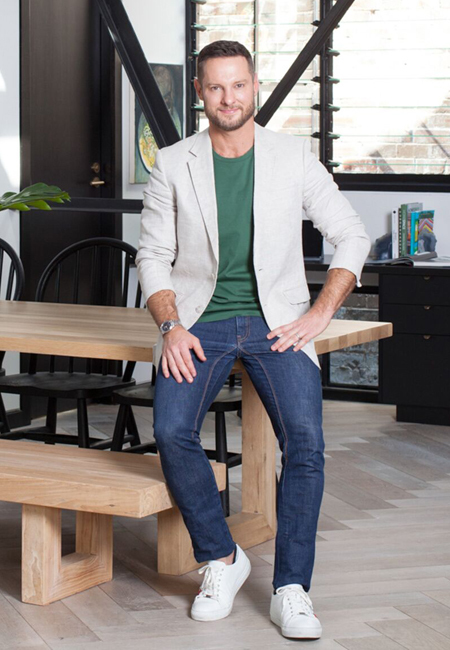 2017 saw Darren launch his own soft furnishing and interiors range Australia wide with department store MYER, a range of timeless luxury items accessible to all. 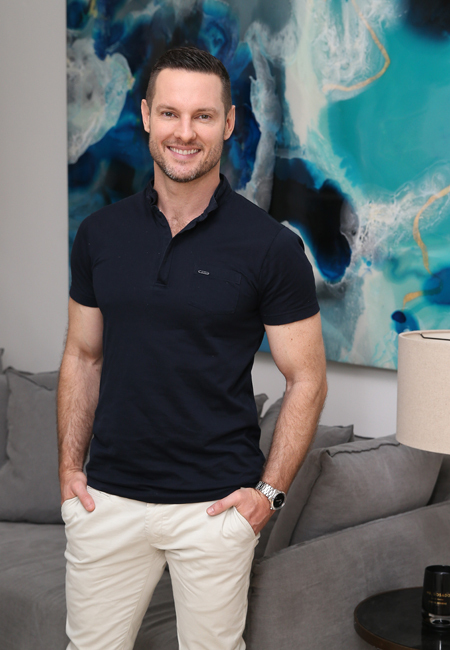 In 2018 Darren teamed up with the Interior Design Institute to create his very own online interior design course available worldwide. This same year he also launched his own tailored homes with the G.J Gardner Homes who have been voted Most Trusted national home builder for the past three years. As an interior designer Darren has worked on large residential properties including the MOPO Multi Residential apartments in Victoria, Australia and the Soho Canberra MULBERRY project in Canberra, Australia which is currently in construction phase. From design symposiums to public and corporate events, Darren Palmer is also a sought-after brand ambassador, public speaker and MC. He is currently working with Audi Australia, LG Signature, Hafele and has been an ambassador for Carpet Court for seven years as well as working with brands including Nespresso and Freedom Kitchens. Darren is also a proud ambassador for the charity Yourtown.